As a Charleston wedding planner part of my job is to discuss the layout and setup of a wedding and recently I have encountered a lot of brides who are contemplating the idea of not having a seat for each guest at their wedding reception. Many think that their guests will want to mingle throughout the reception and therefore seating is not required for every person. Unfortunately the opposite is true. If a bride wants to encourage mingling one of the best ways to do this is to have a seat for every guest so they know that once they are done mingling they will still have a seat. 2. Depending on where people stand it can actually seem more crowded, especially in a venue that is not one wide open room but has smaller sections. Many of the historic venues of Charleston are designed with smaller areas rather than the open concept. If people stand in walkways while people are trying to get food it can be very congested. 3. Some guests may think that not having seating for everyone is an oversite by the Charleston wedding planner or the bride rather than planned. They may also wonder if there aren’t enough seats will there be enough food provided. 4. I have had occasions where I had to pull out the extra seats in the middle of a wedding and this is extremely awkward as it usually involves having to ask some of the already seated guests to shimmy over. 5. I have also had occasions where the standing guests talked very loudly and did not pay attention through the dances to the point that the Dj politely asked for everyone’s attention before the cake cutting because the bride was so upset that the guests were not focused on the wedding activities. 6. While you might think that the young people would be less likely to sit and the older people more likely to sit, this isn’t always the case and its very hard to control who gets a seat and who doesn’t. It is extremely awkward to have to ask guests to give up their seat if you think someone else needs it more. From the moment we entered the reception site it was very clear that there would not be enough seating for all the guests (as well as the fact there was no Charleston wedding planner). My husband and I proceeded directly to a table and sat down. We stayed there for an hour and a half while the bride and groom were off getting photos. Within half an hour of our arrival all of the tables and chairs were full. I watched the faces of the guests as they entered the room and realized all of the seats were taken and they did not look happy. During this time we took turns or “tag teamed” as I call it for food and beverage. The other guests at our table did the exact same thing. We all clung to those seats as if our lives depended on it! The guests who were left standing ate, drank and chatted but you could see that during the entire time they were looking for that one opening and were prepared to pounce on an empty seat. Within an hour I had spotted at least 3 women carrying their high heels. 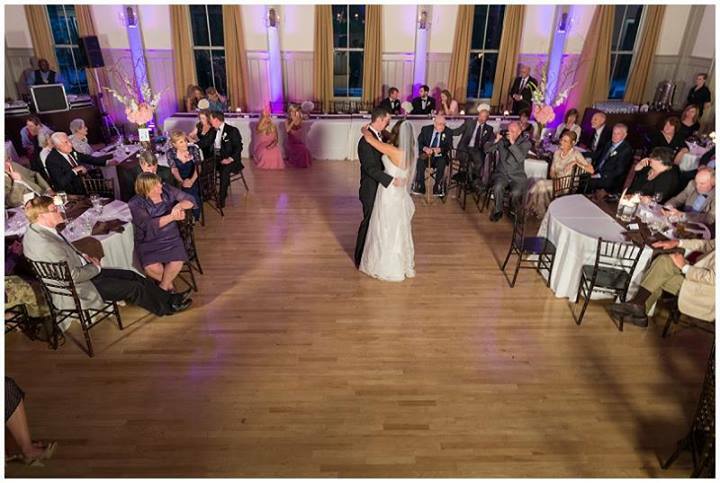 Once the bride and groom arrived they went immediately into their first dance. Unfortunately the caterers, probably trying to stick to the timeline, opened the buffet. The guests flocked to the buffet line as if in a stampede, leaving the bride and groom on the dance floor with no one watching. The guests had assumed that if there weren’t enough seats, maybe there wouldn’t be enough food. To avoid situations like this, a Charleston wedding planner is needed! It is of course up to you, but on every occasion where I have had a bride try to attempt less than full seating there have been problems. I have even heard it called the 70% rule, but I don’t know where that came from. While guests would never say anything to a bride on her wedding day, they will tell the Charleston wedding planner. I have had guests complain to me about the seating when there isn’t one for everyone. I think it’s best to have the seating available and if guests want to sit they will and if they don’t want to they won’t, but it’s their choice.